Inner North Star, and The Game Changer Podcast were established by Michelle Dutro, who is no stranger to pursuing her dreams. “Nothing should hold a person back from doing whatever it is they want to do”. A military veteran, by the age of 22 – Michelle joined the fire department at age 35, despite her petite 5-foot-4 frame. And the fact that most firefighters are men didn’t bother Michelle. She was determined to pursue her dreams, which now include helping others to do the same. Michelle has spent more than a decade working in the field of preventative medicine, after leaving the fire department… an experience that has spurred her to emphasize the importance of having the right mindset, and being responsible for every area of your life. She now works to inspire and motivate others to pursue their passions in life, and to contribute in a way that is meaningful and utilizes your natural talents, gifts, and passions. 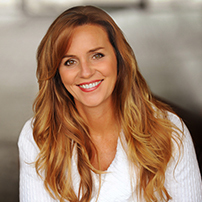 Michelle Dutro is a certified Biofeedback Instructor and Supervisor and a certified Strategic Intervention Life Coach. She is also the host of the The Game Changer Podcast, and author of Amazon’s best-selling new release, Fate, Destiny, and The Power of Free Will. Certifications also include; Vinyasa Yoga and Yoga Nidra (guided meditation), Homeopathy, Feng Shui, Wellness Consultant and many other holistic wellness certifications.